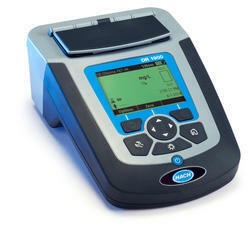 We are engaged in offering Portable Digital Spectrophotometer - Hach - DR2800. Water Quality Analysis (M/s. Hach Group) M/s. Hach Group, a global company in water quality testing and water quality analysis, offers portable, laboratory and on-line instrumentation for testing important water quality parameters. With pre - programmed methods for water, waste water analysis with wide range of applications. In order to meet excellent quality standards, we are supplying Hach Make Portable Spectrophotometer. The DR1900 excels in the field because it is the lightest and most compact portable spectrophotometer. Your field testing takes you to potentially dusty and wet conditions where other equipment simply won’t be safe. The DR1900 is built for rugged conditions, and it’s flexible, --accepting the widest range of vial sizes. 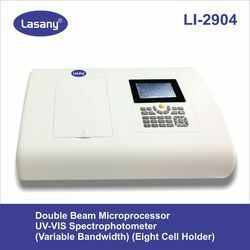 We are amongst the most reputed names in the industry, offering Spectrophotometer Hach Make Dr 1900 Visible. We are a top notch supplier of Hach Spectrophotometer. We are engaged in offering Hach Spectrophotometer. In order to meet excellent quality standards, we are supplying Hach Spectrophotometer.